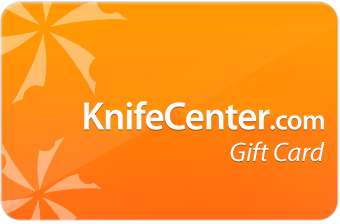 The KnifeCenter offers dozens of Boker Knives for sale. Boker Knives of Solingen, Germany has been producing knives and tools for over a century and today they are one of the foremost knife makers in the world. Boker Knives offers their traditional Tree Brand folding knives in popular styles like trapper, stockman and canoe models, as well as the Applegate-Fairbairn fighting dagger combat knife, tactical liner locking folding knives, state-of-the-art ceramic blade knives, kitchen cutlery and much more. You can find separate index pages for Boker Kitchen Products. See all new Boker. Medium fixed blade (3-3/8" blade) designed by a German custom maker. Each of these carefully selected models is an important part of Boker's history, so in a way, the selection represents the corporate history from the oldest of all Boker knives. Each knife in the 1674 Series is strictly limited to 343 pieces worldwide and comes with a certificate and individual serial number. Entirely classic, traditional pocket knives nevertheless enjoy unfettered popularity, and the demand for the evergreens among these useful everyday helpers continues to be high. Carefully crafted for comfort and control, Boker's lockback hunting knives have all the quality features you've come to expect, artfully executed with rugged beauty. For everyday carry, many users prefer a more slim and lightweight knife, and the Boker 3000 Lightweight is the answer. The Boker Annual Collector's Knife Series are some of the finest work Boker has to offer, known for their top quality designs and use of premium materials. Tough, dependable, spirited. This series of traditional folding knives is dedicated to the Appaloosa horse. The Smatchet 2.1 is a true classic as a "tactical machete" and a large hacking knife that represents a permanent element of the history shared by Colonel Rex Applegate and Boker. Featuring N695 steel by Bohler in Austria, the Buffalo Soul fixed blades is the ultimate companion for all outdoor activities. The Dano was designed to be the perfect companion for the serious big game hunter who recognizes the importance of blade shape and length, with a handle offering carry comfort for extended use. The El Gigante features size in all regards, not only with respect to its impressive dimensions. This is an ideal knife for outdoor and survival enthusiasts. Based on the design of Hungarian knifemaker Peter Farkar, the El Heroe is a reliable companion for the jungle of everyday life. The Esculta is a mid-size fixed blade ideally suited for outdoor and hunting uses. The clear lines of the Nomad and the powerful spear-shaped blade give the design an extraordinary appearance and excellent ergonomics. Handcrafted hunting and outdoor knives from the Boker factory in Buenos Aires, Argentina. The Boker Arbolito Relincho slim hunter, with its full tang construction, offers an extremely high level of stability. The handy Salida Grande set includes a knife and fork, in a quality leather sheath. Ideal for the outdoor kitchen, picnics and the like. Lucas Burnley's Scorpion makes an ideal everyday companion for outdoor life or for professional use. Eat in style with this genuine stag handled knife and fork set with convenient belt sheath. This knife shows without a doubt the handwriting of knifesmithing master Armitz Stuetz, from Steierer Eisen from Austria and reflects his sense for a clear line and functionality. This impressive hunting knife is perfectly suited for large game, but is also a great companion for camping and trekking trips. The classic American Barlow pocket knife is distinguished by its characteristic, overlong bolsters and the sizable dimensions of its handle. Handcrafted in Boker's Solingen factory, the handles on these traditional pocket knives are made from genuine German ale/beer barrels. German knifemaker Steffen Bender developed an ingenious concept of interchangeable handle scales without the use of any tools. Innovation meets tradition. Thomas Krug's design offers a firm focus on function while also providing a timeless style and shape. The flagship of the Boker Solingen production facility is now offering the famous scout/camp knife and is sure to be a favorite. Super quality products with the western wear brand. A massive blade in the traditional American Bowie style. You can list all Boker Bowies or all Boker wood handle fixed blades. Finished with a classic Boker logo in the handle scale, the Classic Gold series reaches into the past, bringing it back to life in a tangible way. Beloved designs with high-end materials and blade steels make these true collector pieces. Liner locking modern folders with a thumb stud but still with that classic look and feel. The Boker Cub offers a well-balanced mixture of classic and modern elements. Its compact size, the slim profile and the perfect ergonomics of the handle ensure elegance and versatility. The design of Missouri knifemaker, W. C. Davis, stands out with the traditional drop point blade, whose shape has proven successful in the areas of hunting and outdoor use for decades. Kosie Steenkamp from South Africa has created a gorgeous and exceedingly appealing hunting and outdoor knife with his Drikas model. A reliable companion for everyday use in a classic design from Solingen, Germany. The Field Butcher, designed by Jesper Voxnaes, is mildly reminiscent of a Santoku knife, but whose configuration meets all requirements of an outdoor camp knife. This innovative forged series from Boker combines innovative and dynamic designs with a classic material selection, at a premium quality level. These modern classic survival knives are capable of mastering any task in the wilderness. A great series of liner locking folders with a handle of ABS with a rubbery inserts. Designed by Canadian custom knifemaker Kirby Lambert, this successful blend of officer and gentleman holds details at the custom level. Popular fixed blades designed by Austrian knifemaker Stefan Gobec. Designed by the renowned knifemaker Jesper Voxnaes from Denmark, the Gorm combines ageless virtues which make this knife series a real masterpiece of kitchen cutlery. In terms of its size, blade shape and handling, the Boker Gulo made by knifemaker Steven Kelly is without a doubt the perfect everyday knife. The Haddock by Jens Anso are frame lock folders and serves as a textbook example of a modern pocket knife design. Multi-blade Hunter's Knives featuring CRU-WEAR steel and stag handles. Hunt and game continue to be an important part of our cultural heritage. With Boker's Jäger ("Hunter") Gold series, they want to acknowledge this heritage and pay tribute to all the hunters who are doing their part to preserve our nature. A modern Scandinavian take on things. These are quality made and beautifully designed. Mikhail Timofeevich Kalashnikov, the mastermind behind the famed AK-47, lent his name to this German made series. The KMP22 by Charles Marlowe proves that custom design, Solingen production, and top quality do not necessarily have to come with a big price tag. The Kwaiken flipper designed by Lucas Burnley is a true crossover between a gentleman's folder and a tactical knife. The American-made Kwaiken Automatic combines Lucas Burnley's slim and minimalistic Kwaiken design with the precise spring mechanism that is manufactured by Pro-Tech Knives. Forged out of the German battle tank Leopard I, Boker's Damascus forger was fortunate to acquire this specialty Leopard Damascus steel. These classic, elegant lockback hunters will make for a great everyday companion. The Mamba 1674 by Boker is an elegant folding pocket knife that features a 3" and sturdy lockback mechanism. They may look like Swiss Army knives but these Medallion folders are so much better with Titanium, Damascus, or Mother of Pearl handles. This gentleman's knife provides the best to the collector, user, or tech savvy individual. Designed by custom knifemaker Les Voorhies, the Model 10 combines supreme elegance with uncompromising daily utility. The EDC compatible size, the versatile blade shape and very smooth and uniform ball bearing supported blade movement make the Model 13 into a potential favorite for many knife enthusiasts. Focusing on the most important feature, which is the versatile 0.14" thick blade, the Mono is the perfect knife for the huntsman who doesn't care for additional tools. Jesper Voxnaes developed this compact fixed blade that not only works well in outdoor and hunting applications, but is also an ideal knife for everyday use. For the Oak Series of pocket knives, Boker returns to their roots, offering timeless patterns with classic, solid oak handle scales, nickel silver bolsters and brass liners. The Boker Oberland Arms EDW tactical folder is beauty and beast all in one package. The Boker Para-1 is not only a useful companion for everyday carry, but also a handy back-up knife for the outdoors, or for more delicate cutting tasks. Jerry Lairson Design with top quality T6MoV steel and tapered tang. Made in Argentina. The first collaboration between famous South African custom knifemakers Andre van Heerden and Andre Thorburn, the A2 is a perfect example of their elegant and refined designs. The Access Tool not only comes in handy for prying tasks, but also works great as a bottle opener, nail puller, shackle opener and carabiner. The Accomplice by John Gray is a very compact EDC or backup knife, which, with its slender handle and ring, combines superior carry comfort with discretion. The Action folding knife features an easy one-handed opening blade with a sturdy lockback mechanism. A reissue of an extremely rare standard issue knife. Leather handle and classic design at a great price. The Ammonit is a practical small neck knife that not only has a standard blade but also a cleverly designed belt cutter, which can be safely used to great effect while the knife is in the sheath. The blade is made of hi-tech ceramic, which is 100% nonmagnetic and provides outstanding edge retention and corrosion resistance. Newton Martin from Texas has developed a construction which is virtually indestructible, despite the screwed tang and handle. Fixed blade and folders specially designed to meet the critical demands of Armed Forces serving worldwide. South African designed liner lock with multiple grinds and a great effect. The BB is a slipjoint folder designed by Jesper Voxnaes with a classic design and premium materials. Amazing design on a neck knife that is all business. The Blacklist not only scores with its stocky, versatile blade, but also with exceedingly good handling. A compact all-arounder for all occasions, the Boker Plus BugOut by Steve Kelly from Montana is an incredibly versatile neck knife. As an expert on fixed blade outdoor knives of all sizes, Tom Krein based his Bushcrafts on the classic straight lines of Bushcraft knives, giving us an extremely handy and versatile knife for any outdoor activity. As a modern and rugged utility knife, the Caracal not only features superior durability but also outstanding ergonomics. Available in a flipper and fixed blade. Made from powder coated SK5 carbon steel and equipped with contoured G10 scales, the Carnivore is highly effective. The Cera-Neck, made completely of ceramic, is not only corrosion resistant but also provides outstanding edge holding ability and makes for a very lightweight package. The CFM-A1 by DJ Urbanovsky features a milled G10 face scale, stainless steel frame lock and 3.6" Sandvik 14C28N blade. Great folding knives in the Chad Los Banos tradition! The popular one-handed slipjoint pocket knife by Chad Los Banos has been one of Boker Plus' reliable everyday carry knives for years. The immense popularity of the original model, the SanYouGo, has raised the need for a slightly larger version. Boker now bring you the ChefYouGo. The Chicken Hawk is significantly more versatile in terms of transportation and carrying options than a classically proportioned hawk. Roy Huntington's design has been brought to market by Boker at a great price with Asian production. Still great quality with an extraordinary design. Don Hethcoat is one of our favorite designers and the Cowboy Crossdraws reflect his excellent design sense. Designed by Massachusetts knife maker John Kubasek, the Boker Plus Credit Card Knife has a compact, slim design with a variety of carry options. The Boker Plus Defender by Boris Manasherov offers balanced dimensions, creating a knife that is large enough for most applications while still being compact enough to be carried every day. Solid, yet elegant, the Boker Plus Damascus Dominator features eye-catching Damascus handle scales, harmonizing with the 37-layer Damascus blade. As is typical for designer Chad Los Banos, the DW folders feature sophisticated ergonomics and high utility. Lightweight and fast opening folders designed by Skellern. The F3 folders designed by Jesper Voxnaes compels the same virtues and qualities as his fixed blade designs--strength, high utility, off-beat yet completely practical compositions. This versatile everyday carry knife features a sleek profile and stainless steel drop point blade. The Federal is one of the most anticipated knives from Boker Plus, designed by one of the most sought after custom knifemakers in the world, Gustavo Cecchini (GTC). Based on the popular Brad Zinker Urban Trapper, the FR features a slightly heavier and wider handle for a more practical design without compromising its elegance. The Boker Plus Gemini assisted folder gives the user a perfect knife for everyday carry for all purposes. The DJ Urbanovsky GITFO is a minimalist knife that provides superior carry comfort due to its low profile and compact full-steel design. This elegant pocket knife offers an intelligent handle design, consisting of several parts, which holds the blade open as long as you hold the knife in your hand. Grand & Gavin Hawk design. At first glance, an axe as a neck knife may be puzzling, but anyone who first picks up the Hawkit from Jon Graham instantly realizes that this is indeed a tool to be taken seriously. Despite—or due to—its straight lines, the Hitman frame lock flipper is highly ergonomic and extremely versatile. The Impetus is one of his classics - an extremely rugged knife with refined ergonomics that can handle any cutting chore. Designed by the creator of the popular Kwaiken folder, Lucas Burnley's preference for Japanese inspired knives is also evident in the Kihon flipper. These heavy-duty nylon knife bags can carry 12 knives in individually separated compartments. From the designer of the highly successful credit card knife, Boker now introduces the Kubasek Dog Tag Knife. A versatile tactical tool that can significantly heighten personal safety in many situations. The Boker Plus Lancer carries designer Serge Panchenko's handwriting but is less of a "fall-back knife" and more of a full-scale pocket knife. Designer Jason B. Stout, does not claim to create knives for everyone's taste, rather he realizes his own personal style, which we feel is well reflected in the Lateralus. The knives by DJ Urbanovsky are not only selected unique designs with a more than compelling design language, but have also demonstrated their outstanding utility. Designed in 1943, Boker Plus has reintroduced this classic piece of combat cutlery used by US soldiers during WWII. The knives by D.J. Urbanovsky have become fixtures in Boker's product line. His designs are always strongly influenced by his striking style, while always taking the knife's intended use into consideration. The Mako from Danny Parris in Atlanta is super versatile making it a valuable companion for anything life throws at you. Boris Manasherov designs skillfully combine uncompromising practicality with a unique and always striking appearance. Available in a folder and fixed blade. Innovative designs from the Austrian knife making team. The tanto blade of the Mini Slik allows maximum performance for everyday cutting chores. Jeremy Marsh from Michigan and his extraordinary designs are often far outside the mainstream knife market. The convenient one-hand operation, bellied blade and ergonomic grip G10 scales of the Mojo are clearly Jens Anso's handwriting. A high quality stout little folder, the Nano from David Curtiss cuts much larger than it's size. The name says it all. A Newton Martin design for an ultra compact Karambit. Boker Plus Optima series with Interchangeable blades including a saw. Comes with sheath. The Outdoorsman utility fixed blade is a great companion for any outdoor situation or hunting task. This Boker Plus and Brad Zinker collaboration is a compact titanium folder that doubles as a money clip. Designed by Schott McGhee, the Piranha features a heavy clip point blade that is large enough for most outdoor tasks, yet small enough for an exceedingly comfortable carry. The Boker Plus Pocket Sticks can be used as a massage tool or pain applicator depending on the situation. Made from one solid piece of stainless steel or titanium. The Pogn DCW by Ben Bawidamann combines unmistakable design with practicality and utility. The Prime is a beefy outdoor and utility knife that pretty much handles any job with its almost 7 mm thick blade. The Tom Krein Survival Knife (PSK) steps it up a notch and provides a nearly indestructible survival and outdoor tool with invaluable service. The Rambler stands out with its unconventional yet appealing appearance and rests comfortably in your hand thanks to the slim handle. The Rampage, designed by famous knifemaker RJ Martin, is a purely tactical knife featuring a super-aggressive blade and Micarta handles. RBB Reality-Based Blade designs from the famous self-defense instructor, Jim Wagner. Knives that you will just need to own. Designed by Jesper Voxnaes. The Boker Plus Ridge combines clean lines with a classic spear point blade of sturdy dimensions. The Ridgeback, designed by Bill Coye, is small enough to be clipped on the belt and not disturb during daily life, but is large enough to give the "grown man's hand" a regular, full handle to grip for heavier work. The Rocket by Darriel Caston is an extraordinary pocket knife for all friends of unusual design who prioritize compact shapes. With the Rold from VoxKnives, there is a new player on the Boker Plus team, which fills the void for a real camp knife. The Boker Plus Roundhouse is perfect as a tactical folder and as an elegant full-size everyday knife. Sal Manaro designed knives beautifully created by Boker at economical prices. Great American designs. The SanYouGo by Jesper Voxnaes is a classic Santoku reduced to the essentials. This rescue series is intended not only for the user who wants to be equipped in the event of an accident to help themselves or others, but also for professional users who carry the knife on the job as a rescue tool. With its compact dimensions and characteristic scales as well as the deep index finger notch, the SFB Neck is a more than compact jack of all trades for everyday use. Like many classic French knives, the Boker Plus Slack pocket knife by French designer Raphael Durand is based on the traditional Navaja from the Mediterranean. The Boker Plus Slyde-R features a floating blade that is unlocked with a button and pushed out of the front of the handle. The SnacPac combines a spoon, stainless steel fork and knife, and salt and pepper shakers - into one handy little package perfect for eating on the go. The Squail, designed by Charles Marlowe, attracts the most diverse knife enthusiasts, thanks to the combination of everyday functionality with elegance, without sacrificing function for appearance. This versatile knife is not only ideal for diving, but also all around outdoor use. The outdoor version of the Steel Mariner, the Steel Ranger features ranger green G10 handles and a versatile 440C blade. As a larger version of the popular Credit Card Knife, the Stowaway is designed with the same lightweight and slim form factor but features a longer configuration while the materials are kept at the same thicknesses. As a lightweight EDC knife, the Boker Plus Strike rounds out the broad range of tactical knives. The thin handle on the provides outstanding handling, and the bellied cutting line makes the Sulaco a highly effective cutting tool. The unusual combination of a fully-functional 4-finger handle and a rather short blade embodies several unique advantages on the Tac-Neck. Boker fell in love at first sight with Eddleman's Dashi design. This compact fixed blade has extraordinary durability. Be ready for anything with the easy-to-use Tech-Tools. Colin Despins, a designer of tactical resources here in the U.S., brings us to this completely new design of a tactical tomahawk. The perfect ergonomics, rock solid liner lock, solid steel plates and reversible pocket clip are just a few of the special features of this piece. Pen style liner lock design from the famous self-defense instructor, Jim Wagner. Easy to carry. Designed by Brad Zinker, the Urban Survival has quickly developed into one of the most popular gentleman's knives from Boker Plus. This sturdy all-rounder is great fun and very useful in its original state but the greatest joy of the Boker Plus Urd 2.0 comes after the purchase. Proudly made in America by Fox Knives USA, this highly requested series of Boker Plus was designed by German custom knifemaker Raimund Lhotak. For this purely US-based project, Boker teamed up with Hogue knives from Nevada and created these extraordinary OTF autos. The V-42 Devil's Brigade dagger is a premium collector's ensemble, especially ideal for aficionados of military history! A modern interpretation of the classic Vietnam bowies, from Boker Plus. Designed to handle a wide variety of tasks, the Boker Plus Vox T-Hawk combines tactical form with ultimate function for a very versatile tomahawk. The VoxKnives series from Boker features designs by custom knife maker Jesper Voxnaes. The slender build and lightweight construction of the Boker Plus Wasabi complement the straightforward design and classic Japanese blade to make an elegant EDC knife. Knife designer Boris Manasherov's outstanding feel for the ergonomics and handling of a knife is on full display with the Wildcat. The Worldwide - based on a design by Chad Los Banos - represents a configuration whose features would appear to pass legal carry requirements in most countries. This fixed blade Pocket Knife designed by custom knifemaker Mickey Yurco can be worn just as comfortably and discreetly as a folder. The Boker Pocket Mini has always been a very popular model, as it easily tucks away in the vest or pants pocket. With the unbelievable blade thickness of 0.28", this outdoor knife knows no limits. The Jens Anso designed Pure series is made completely by hand. The main focus was a series that combines superior function with a simple ergonomic design. The classic Quadro model features a locking main blade, saw, bottle opener, gutting blade and corkscrew. Boker's decades-long experience in manufacturing outdoor knives and the creativity of Danish custom knifemaker Jesper Voxnaes combine to present the concept and design of the Saga, setting a new standard in cutting and ergonomics. These professional hunting and outdoor knives have an impressive blade and elegant flowing lines in its design. Available in several different handle materials. The Scout is an elegant lockback folder available in various handle materials. In contrast to the traditional construction with brass liners and brazed on bolsters, the solid nickel silver body is made from a single piece. The SD series unifies classic elements of modern folding knife design with a pleasantly no-frills design. The Boker Solid Forest features green canvas Micarta scales, to fit the needs of not only the hunter, but for every outdoorsman. An exciting design from Jens Anso, the Solo series was designed to be an EDC folder or an all-purpose tactical knife. As a two-handed version based on Boker's popular Turbine 42, the Tactical Folder has plenty of potential as an everyday companion in urban settings. The combination of the Tirpitz and carbon tool steels creates an extremely rugged Damascus steel, which has a hardness of 61 HRC, and can handle any cutting task with ease. These feature a lightweight cast aluminum body with remarkable heft and balance. For swift and responsive handling - but these are not automatics, just touch the flush-mounted push button to disengage the blade from the open or closed positions. Discover the fascination of a timeless classic with the Boker Trappers, which will take you along on a journey to the origins of the modern pocket knife. The Trapperliner combines one of the most traditional patterns, the Trapper, with the added convenience of a one-hand operation. The Tucan is a unique concept penned by designer Wilfried Gorski, executed as a highly-exclusive, series-produced gentlemen's folder by the Boker. German made folders that fulfill the tactical demand without being menacing. These solid modern integral knives are sure to be a classic among premium hunting knives. A convenient tool kit that will help whether you want to reverse a clip or dismantle your knife for cleaning purposes. Wine bottle openers deserve a higher level of elegance and sophistication. These wine knives are truly interesting and a unique piece. Great selection of WWI German military combat knives. Heinrich crossed the nearby Wupper river and went to Solingen, where the German industry of cutting tools was growing by leaps and bounds at that time. In 1869, he founded Heinr. Boeker & Co. with Hermann Heuser, a well-known specialist in the field of cutting tools. The Boeker family in Remscheid and their overseas cousins had a lot of interest in and a great demand for shaving blades, scissors and pocket knives from Heinrich's new enterprise. They had to identify their products for the overseas markets in a simple way, since many customers and consumers had problems with the German name Boeker - not considering the fact that illiteracy was widely spread. 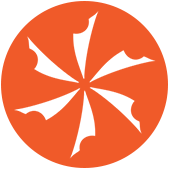 In Heinrich's opinion, the chestnut tree near the Remscheid facility represented an ideal, easy-to-remember symbol. This brand symbol was owned by the Remscheid company, together with a second logo, the arrow. One of the few valuable documents that survived the total destruction of WWII is an ad by Boeker, Remscheid, from the year 1874, showing both logos. The relationship between the two Boeker companies had always been extremely friendly. Therefore, Heinrich was allowed to take the tree symbol across the river with him - without any big fight or cost. Since then, not a single Boeker article has left the Solingen factory without being identified by the tree symbol. After more than 100 years of existence the old chestnut tree was the victim of lightening. In 1925 a talented artist carved a copy of the majestic tree on a piece of the trunk. This original piece of art decorates the boss' office in the Boeker plant. As early as 1900, the majority of articles produced by Boeker were distributed in the US market. H. Boker & Co. in New York concentrated primarily on cutting tools from Solingen. Soon pocket knives became more important than scissors, shaving blades and eating utensils. The demand increased even more rapidly than Solingen was able to supply, so that the Americans in New York began their own production of pocket knives. A little later, pliers were included as well. Since the tree symbol had become well known by then and the various branches of the international Boeker family enjoyed an excellent relationship among each other, it was not difficult to receive permission from the Solingen relatives to use the tree symbol also for the American products. Since that time, two different lines of Boeker knives have been on the American market with the same brand symbol, sometimes even with the same article numbers, but one line was made in the USA and the other in Solingen. Only the declaration of marketability clarified that one line was from Boker USA and the other from H. Boker Improved Cutlery Solingen. The relationship was interrupted during WWII. The Solingen factory burned down completely. None of the equipment, tools, catalog materials or samples was spared. Those few originals from the past we have today survived the war in private homes and were made available to the company. The firm lost one of its most valuable assets: the registration of the tree symbol for the American market was confiscated pursuant to American law. John Boker Jr. acquired it in New York, in order to secure it for the distribution of the American and German products. Soon after the war, the destroyed factory was rebuilt. Those loyal skilled workers who had survived the war, returned and helped with the reconstruction of the building as well as the production, gradually regaining the previous high standard of quality. The American cousins renewed their business contact with Solingen and started to place orders. Within a few years Boker, New York, had again become the principal customer. Models like the 7588 and 7474 and the most expensive item, the sports knife Flagship Model 182 could not cross the ocean fast enough to reach Boker friends all over the country. In this page, we will provide answers to your questions regarding the Boker warranty, repairs, and sharpening of Boker ceramic knives. "Every Boker product is guaranteed to be free from defects in material and workmanship for the life of the product to the original owner. If this item should fail under normal use, we will repair it or replace it at no charge with an item of equal or better value." Blade rusting, particularly on carbon steel blades. Blade breakage, especially after more than a year of ownership. Handle scales cracking or breaking. Any knife that has been converted to perform as an automatic knife is not covered under warranty at any time. Boker USA, Inc. honors the Federal law that prohibits the importation or selling of automatic knives. Boker USA, Inc. does not import or sell any automatic knives. Due to the Federal law barring interstate transportation of automatic knives (switchblades), we are unable to return them when shipped to us. If we receive any automatic knives, we will have no choice but to dispose of them. Boker USA, Inc disclaims any liability for financial loss due to disposal of automatic knives. For further information, please contact us at 1-800-992-6537 ext 21. If you would like to send your Boker knife in for repair work or examination to see if it is covered under warranty, it must be accompanied by your phone number, shipping address (no P.O. boxes, please), e-mail address (if applicable) and $5.00 to cover return shipping and handling (in the form of either a check, money order or Visa or Mastercard number). If we do not have a method of contacting you, we will not be able to proceed with any repair or warranty work. If you do not include shipping charges it will cause significant delays in returning your knife to you. If your repair is covered under our warranty, we will return the $5.00 payment along with your knife. To service you best, please contact the Boker USA Customer Service/Repair Department prior to shipping your knife at 1-800-992-6537 ext. 21. Boker does recommend that you ship your knife to us via insured U.S. mail or through United Parcel Service so it can be tracked. Warranty returns from Canada may incur additional charges due to customs fees. Our ceramic knives are very keen cutting instruments but are not intended for chopping or cutting hard items such as bone, staples, or frozen products and are not to be used for whittling. Also, care must be taken while cutting items such as fibrous vegetables and cheeses. Due to their extreme hardness, which is why they do not need to be sharpened as often as a steel blade, they are brittle. Therefore, blade breakage or chipping isnot covered under warranty. We do provide a sharpening service, which can get out most small chips in the blade and restore the original edge. If you wish to order parts from us, there may be a charge incurred. Please contact us to find out what charges apply, if any. If you have any questions on our warranty, repair work, or ceramic sharpening, please call us at 1-800-992-6537 Ext. 21.